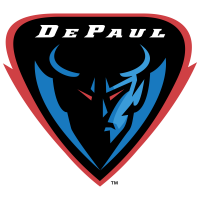 CHICAGO (AP) – Max Strus had a career-high 43 points as DePaul topped St. John’s 92-83 on Sunday. After falling behind 42-33 at the half, DePaul outscored St. John’s 59-41 in the second half to earn the 9-point victory. The Blue Demons’ 59 second-half points were a season best for the team. Shamorie Ponds had 29 points for the Red Storm (20-10, 8-9). Marvin Clark II added 13 points. LJ Figueroa had 13 points. The Blue Demons improve to 2-0 against the Red Storm on the season. DePaul defeated then-No. 24 St. John’s 79-71 on Jan. 12. DePaul plays Georgetown at home on Wednesday. St. John’s finishes out the regular season against Xavier on the road on Saturday.